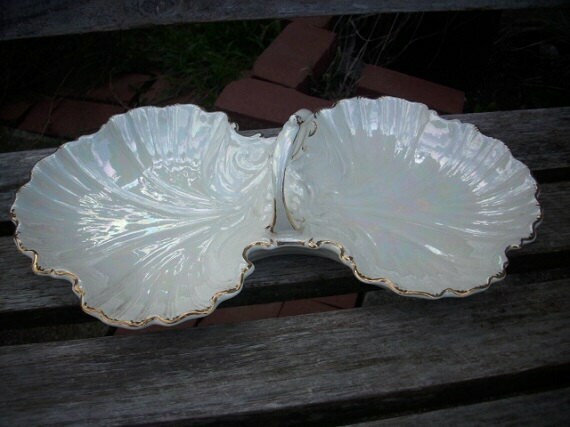 A wonderful vintage bowl for your favorite candy or nuts. 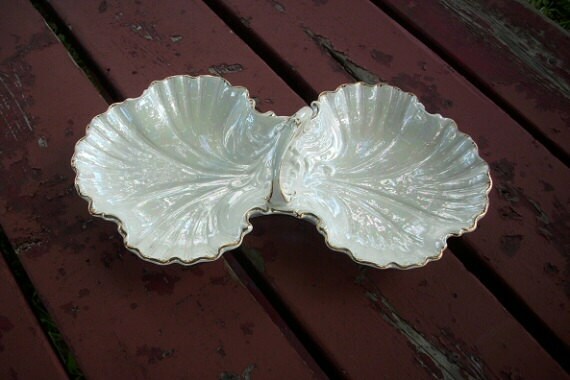 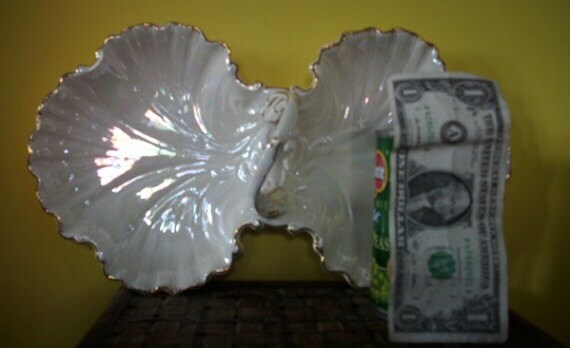 It has an overall white\cream iridescent color in a raised shell design. 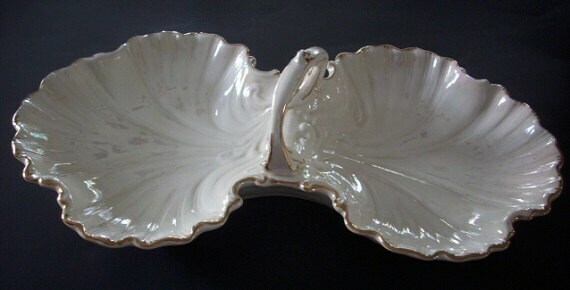 The middle handle is shaped like a branch.